Although veganism is an expanding way of life with a reported 2 million in the U.S. alone, there are still many people who are confused (rightfully so!) about what a vegan can eat. Well, it’s simple really. Vegans do not eat any animals (chicken, fish, beef, etc.) or any by-products of animals (cheese, eggs, milk, butter, etc.). So, what is left you ask? Um, everything! Big beautiful salads, pancakes, peanut butter and jelly sandwiches, trail mix, chips and salsa (or better yet, chips and guac! ), carrots and hummus, tofu stir fry, granola and smoothies, to name just a few. The vegan possibilities that lurk in our cupboards are seemingly endless, you just need to open your eyes and be aware of the possibilities. There is a laundry list of reasons people have taken the plunge into a vegan lifestyle. Ethical, health, environmental and weight loss are included in this growing list, but people adopt various reasons for their lifestyle change. The following discusses the main reasons behind the increasingly popular dietary option. Now, I know we have all met those people who call themselves vegan (and in their defense in the technical sense they are! ), but their diet is poor. Although health is a popular reason to adopt a vegan lifestyle, it is possible to be an unhealthy vegan. After all, Oreos are vegan! A poor vegan diet, can result in deficiencies in nutrients such as iron, calcium and B12. However, for those who choose to fill their diet while whole foods- from the Earth- are fully practicing the benefits of being a vegan. The nutrient-rich food that comes from Earth, naturally strengthen our immune system to fight many common-day diseases. In an article published by Harvard Health Publications, research has shown that vegans are 25 percent less likely to die of a heart attack, while cancer is decreased among vegans and vegetarians due to the increase of fruits and vegetables being consumed. Moreover, the article suggests by eliminating meat from your diet, you can reduce the risk of developing colon cancer. 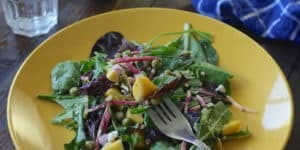 Furthermore, in an article that discussed the scientific benefits of going vegan, researchers found vegans had a 58-70% lower risk of developing Type 2 diabetes than an individual on a standard western diet. Lastly, the article suggests that eating at least seven servings of fruits and vegetables each day, lessens your risk of dying from cancer by 15 percent. Basically, eat your veggies to live longer. Simple. If eating more veggies helps with your health, it should be no surprise that it also helps with your weight. Several studies have concluded that a vegetarian and vegan diets assist in weight control. In a controlled study vegans were found to lose 9.3 lbs. more than a group on a standard western diet, even when those on the vegan diet veered from their recommended regimen. If your motivation is solely to lose weight, that is ok! You will still reap the benefits of health from eating a plant-based diet while you drop some pounds. It’s actually as simple as that. Many vegans have a hard time accepting the idea that a cute little animal can be food, but that is not the main motive they choose to avoid animal protein. The factory farming industry is a violent and unethical business and many vegans believe millions of innocent animals each year are being murdered. It’s one thing to kill animals for food, but it’s another to torture them in the process. It was reported that nearly 65 percent of pigs in factory farms suffered from Pneumonia, thought to be from the various toxic gases released from manure that pigs come in contact with daily. Meanwhile, heavy chains are wrapped around the necks of veal calves to enable them from moving too much in their cages; while chickens don’t even have enough room to turn around in their cages. These statistics are only the tip of the iceberg in regard to unethical treatment found within the walls of a factory farm. 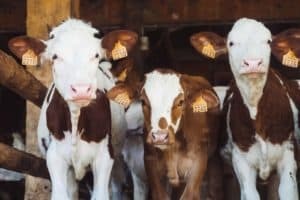 As Sir Paul McCartney famously stated, “if slaughter houses had glass walls, everyone would be a vegetarian.” Perhaps it’s time for a remodel. Animals in factory farms are “produced” because of the westerns dietary demands. Our love for burgers means we need more cows to keep up with American’s fast food cravings. This results in an influx of cattle. You’re probably thinking, that is good, right? More cows, more burgers? It’s more like, more cows, more detrimental gases emitted into the environment. Animal agriculture makes up 18 percent of total greenhouse gas emissions- that is more than transportation’s toxic contribution! What’s more is livestock accounts for 8 percent of global water usage, while major sources of pollution are from animal sources such as animal waste, pesticides and eroded pastures. The theory is, by eating less meat and products from animals, will lessen the demand for animal agriculture, thus decreasing toxic pollutants. I know a dietary change is a huge commitment and often scary to embark on. Don’t feel overwhelmed. Its okay to eat vegan sometimes, or never, in fact. Everyone is different and everyone’s body reacts differently to food combinations. So you fancy a tender steak every once in a while or can’t live without sushi. Eat what suits you. But pay attention to your body and incorporate as many whole foods as possible. Pair a ton of kale or a pile of sautéed bok choy with your animal protein. That’s an easy way to keep your lifestyle, but benefit from the nutrients of the Earth’s offerings. Kelly holds a BS & MS in Kinesiology and a MS in Performance and Sport Psychology. Learn more at one of our upcoming retreats.